RSVP: Sharon Scrattish @ sscratti@gmail.com or 608 280-8050 or Suzy Griffiths @ ssgriffiths@gmail.com so that we can set up adequate tables and chairs. Join us in this beautiful outdoor setting. Come see the newly renovated Union, Madison's "living room", What a great place to visit new and old friends. If you've heard about Plato and would like to learn more about us, this would be a great place. We will gather at the iconic Memorial Union Terrace on the above dates from 10:00 AM – 12:00 Noon. This is a flexible gathering, so feel free to just stop by if time is limited. Maybe you would like to stop by for a quick lunch. If you come a little early you can help set up tables and chairs. The PLATO Kaffeeklatsch is an informal social gathering in which to meet your fellow PLATO members, share common interests and make new friends. If you are new to PLATO or new to the Madison area, this will be a great chance learn more about your organization, as well as, your new home environment. In case of rain, we will meet at the Paul Bunyon Room and, depending on how many show up, decide which room to meet in. If you might attend, please email Sharon Scrattish, sscratti@gmail.com or call 608 280 8050 or email Suzy Griffiths, ssgriffiths@gmail.com, so we know how many tables and chairs to gather. We will meet 10:00 AM-12:00 Noon on the upper UW Memorial Terrance in the shade of the huge Oak tree with the large orange patio chair (And away from the noisy construction area). Drop by for cup of Joe or tea. Breakfast and lunch fare will be available, including a brat and beer. Stop by first to claim your chair at our tables, then walk over to one of these food venues, place your order and carry it back. Langdon Street between Park and Lake Street is closed. The Memorial Union parking lot and shoreline behind the lot are closed. Park in the Lake Street Ramp, entrances on Lake Street and Frances Street. Walk west on State Street to Library Mall. Walk across Library Mall and Langdon Street to enter the Memorial Union. Turn left down the hallway, Peet’s Coffee & Tea will be on the left. Turn right and exit through automatic sliding door. You are now on the Memorial Union Upper Terrace and the huge oak and orange chair are straight ahead. Look for our PLATO sign. We will arrive early to secure table and chairs. If you are planning to attend, please email Sharon Scrattish, sscratti@gmail.com or call 608 280 8050 or email Suzy Griffiths, ssgriffiths@gmail.com, so we know how many tables and chairs to gather. The Final Phases of MUR will address needed updates and renovations in the remaining two-thirds of the building: the central core, east wing, and Terrace.The final phases of MUR will address needed upgrades to mechanical, fire and sprinkler systems, as well as needed cosmetic restoration for many of the Memorial Union’s significant spaces: Der Rathskeller, the Trophy Room, the historic Terrace, Main Lounge, Tripp Commons, Old Madison, Porter Butts Gallery and the Great Hall. To meet the demands of students and members, the current cafeteria-style dining space will be upgraded to multiple eateries. Accessibility issues will be addressed throughout the central core, east wing, and historic Terrace spaces. 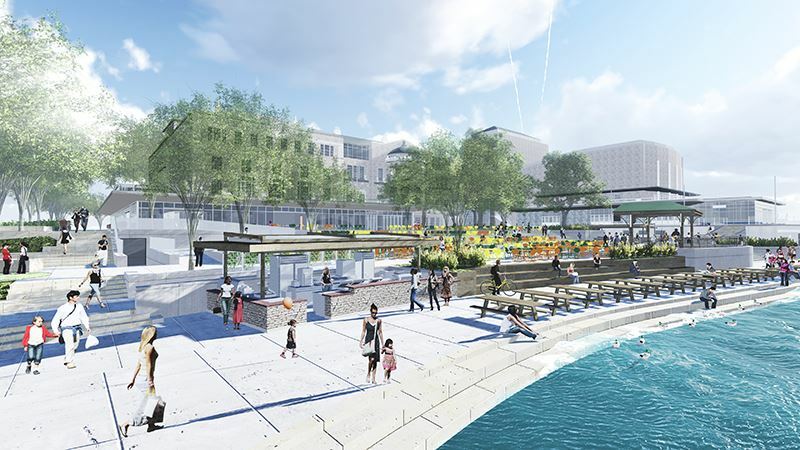 The final phases are part of the Lakefront Gateway, which includes restoration of historic Lake Mendota shoreline along the Terrace, the creation of Alumni Park between the Memorial Union and the Red Gym, and the re-imagining of Alumni House.